Home BUSINESS URITHI's revenue base hits KES. 4 Billion. Peter Ndegwa, Director of Cooperatives Kiambu County (with scissors) cuts a ribbon to unveil the Nakuru Hilltop plan during the 7th Urithi housing Cooperative Society AGM held in Nakuru. Looking on is Samuel Maina (center) Chairman Urithi and other board members. Urithi Housing Co-operative Society Limited has seen its revenue grow from Kshs.100 Million in 2012 to Kshs. 4 billion in 2016. Speaking during the 7th AGM held at Hilltop Resort in Lanet, Nakuru County, the Society’s, Chairman Samuel Maina said their membership has grown tremendously to currently over 26,500 includes diaspora members. He attributed the achievement of this fete to the vigorous work undertaken by Sales Executives and the growth of the Urithi brand into a household name. He said that Urithi has already settled hundreds of Kenyans in over 3,000 parcels of land till today. He further said that the Society has introduced a Member Empowerment Programme (M.E.P.) – which contains several companies and activities to increase income generation for the society and member investment programmes like Mavuno & Heritage. “The Board is currently in the process of re-vamping the strategic direction and creates a work plan that aims to develop 3 main goals: Engage, Deliver and Advocate.” In Urithi, we don’t just want to be acknowledged as the best organization in this industry; we want to engage and discuss with you as we work towards the application of the best solutions for us all. So engage with us, tell us your concerns and let’s work together in addressing them. Secondly, we want to continue Delivering quality affordable housing.” He added. He said the Society is looking forward to deliver existing affordable housing developments in the pipeline to increase the housing supply in the country. “We shall also seek and secure more affordable housing opportunities in metropolitan, other complementary areas and explore innovative solutions to expand the supply of affordable housing as well as to consider partnerships to deliver on the promise to expand service provision,” said Maina. He said Urithi is committed in advocating and increasing its visibility and influence at all levels in the Real Estate and Property Industry. “Other organizations might have customers or clients, but we have Members. With a customer/client, the transaction often ends the sale, but with our Members, we advocate and walk the journey with them, so as to protect their interests every step of the way,” the Society Chief said. He commended the board of directors who he said, have throughout the years, given their support and commitment towards the growth of the Society. The directors are:- John Chege, Joyce Kuria, Daniel Kamau, Kelvin Majau, Anthony Ndirangu, Lilian Kuhaka and Julius Gachanja the Chief Executive Officer. He said in the face of increasing competition and convergence in an uncertain environment, Urithi’s overall performance would not have been possible without the commitment, teamwork and dedication of the Secretariat, Management and Staff. He said 2017 was a year of challenges raised by economic, political and social forces. It was a year of uncertainty, complexity and volatility. “The real estate sector was one of the hardest hit industries. The prolonged campaigns placed a strain on businesses which led to a decline in inflation to as low as 4.7% in November 2017. This in turn affected the publics’ and indeed you, our member’s buying and saving power,” noted the Chairman. 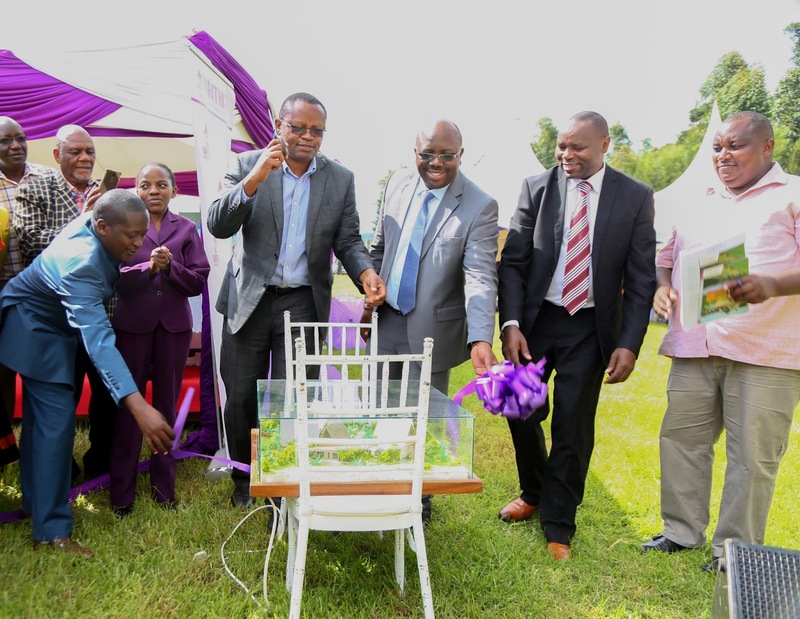 As Urithi, keeps to its mission of providing affordable investment and affordable solutions, the Chairman said they are working towards the hand-over of ongoing housing projects in the next few months.